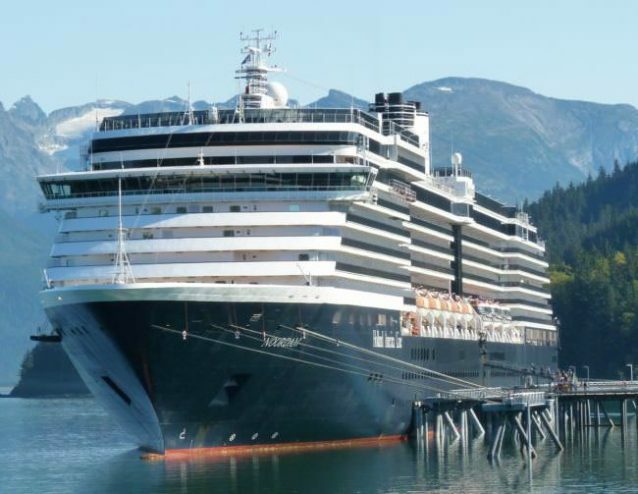 Alaska’s Department of Environmental Conservation Commissioner Jason Brune recently told state lawmakers that the cruise industry is over regulated. “No other industry in the state is subject to 24/7 on-site observers,” he told the Senate Resource Committee. It’s not about the state’s deficit; these inspectors aren’t costing the state any money — they’re paid for by cruise ship passengers. Still, Brune argued the inspection regime doesn’t do much for the state. “The number of observations that the Ocean Rangers have made in the 11 years that actually led to state-issued Notices of Violation can be counted on my two hands — six,” Brune said. DEC’s public reports show the inspectors actually logged 373 potential violations over the past two years. The decision to escalate to a formal violation notice lies with senior DEC staff. 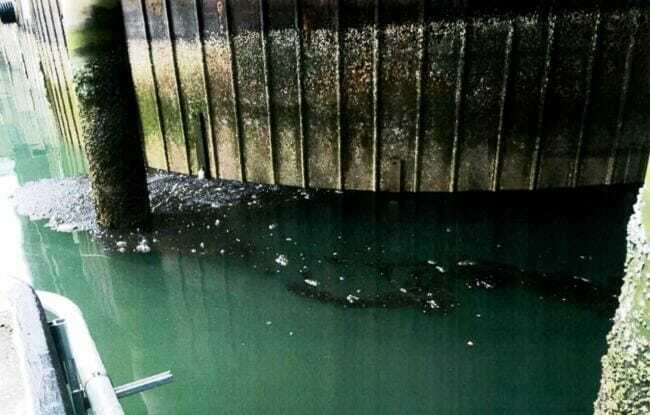 But a series of public records requests by CoastAlaska found Ocean Rangers have been consistently gathering evidence of foamy, oily sheens discharged by cruise ships both in port and while underway. Ironically, the source of many of these discharges is pollution-control equipment installed to meet EPA regulations. Exhaust Gas Cleaning Systems — commonly known as scrubbers — effectively use seawater to “scrub” engine exhaust of sulfur and heavy metals contained in the cheaper, but dirtier heavy fuel oil favored by the shipping industry. What happens after that exhaust system gets scrubbed, depends on the system a cruise company uses. Carnival Corporation says it’s invested $500 million in open loop systems designed to discharge the scrubbed wash water out to sea. And partially redacted records show DEC’s received a number of public complaints about those systems. Carnival Cruise Lines Senior Vice President of Marine Technology Mike Kaczmarek says its fleet isn’t polluting Alaska’s waters. But some researchers say it’s not the same at all. 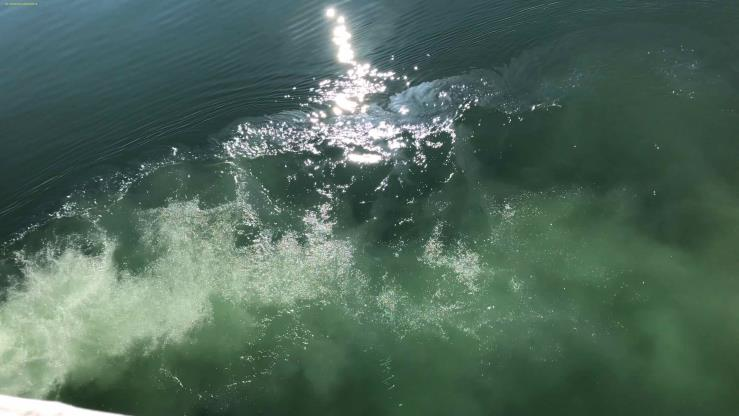 “These open loop scrubbers basically are converting air pollution into water pollution,” said Bryan Comer, senior marine program researcher with The International Council on Clean Transportation. His colleagues at ICCT made headlines after they blew the whistle on Volkswagen over cheating on diesel emissions testing. The nonprofit’s marine program and reviewed the documents obtained in CoastAlaska’s records request. But the follow up by regulators has been mixed: Records show in 2017 DEC notified Carnival-owned ships of potential violations under its spill authority. Then it reversed itself — and said the discharge rules are up to EPA. What happened next isn’t clear. DEC redacted conclusions in its compliance reports arguing enforcement is still possible. DEC officials wouldn’t agree to an interview. In a written statement, the agency said it’s still studying the issue. At the federal level it gets more complicated. Carnival and EPA signed a consent agreement a year ago over it newly installed scrubbers failing to meet federal quality water standards in Alaska. Carnival paid a $14,500 fine and agreed to monitor its scrubber discharges last year. It was to report its findings to EPA and DEC by the end of January and eventually make them public. Both agencies say they haven’t received the report yet. “The cruise ship program is not yet in receipt of this report and as a result is unable to comment on its findings but intends to follow up with both Carnival and EPA,” DEC wrote in a statement. Environmental groups are trying to pressure Carnival to stop burning heavy fuel oil. 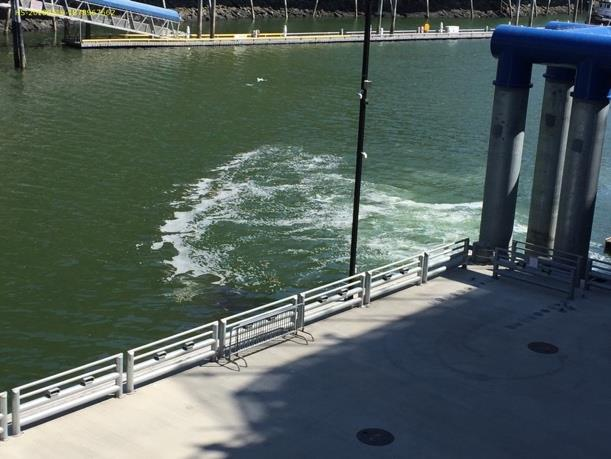 Instead the Miami-based corporation has turned to scrubbers. The debate over scrubbers – and open loop systems in particular – is ongoing worldwide. Communities in Asia, the Middle East and Europe have banned running open loop systems while in port. Alaska regulators claim their hands are tied with scrubbers. “Federal law now limits states from permitting this type of discharge,” DEC’s statement said, referencing the federal Vessel Incidental Discharge Act passed last year. Keever lays the majority of the blame at EPA. “It’s just incredible to me that the industry continues to get away with it and that, frankly, our regulatory agencies let them,” she said. The federal agency declined multiple requests for comment and would only provide information on background. Carnival’s executive Mike Kaczmarek says the cruise industry doesn’t see a problem. Alaska’s Ocean Rangers will be on the job for Alaska’s cruise season which begins at the end of April. But whether they’ll remain in place after that depends on the legislature. Available for download is the archive of the Hazardous Spill Notifications and “additional observations”filed by Ocean Rangers in 2018 that DEC released to CoastAlaska through its initial public records request.